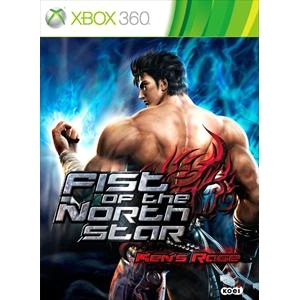 Prepare for the merciless action and brutal hand-to-hand combat of "Fist of the North Star: Ken's Rage"! Put your martial arts skills to the test against masses of bloodthirsty enemies in this no-holds-barred action brawler ripped from the pages of the popular manga classic. In the hugely interactive environments players can smash or pummel their enemies into different objects and buildings as well as pick up objects to maim and obliterate groups of malicious gangs. String combos and attacks together to perform unstoppable killing moves. Power up, then unleash furious Hokuto Shinken special attacks. Blistering finishing attacks that can wipe out entire gangs in one blow, or cause single enemies to explode in a shower of gore. Taken straight from the FIST OF THE NORTH STAR universe, players will be able to unlock unforgettable characters such as Mamiya and Rei, amongst others. Every scene and level has been faithfully followed the iconic visual style of the original comic series. As well as having their own stories faithfully reproduced from the source material, every character will have a new original story and ending specially made for this game, giving the fans something they could only dream of.